The Dr.I weighed approximately 1289 lbs and featured a Thulin manufactured Le Rhone 9J9 cylinder air-cooled rotary engine capable of 110 HP. Born on the island of Java, Anthony Fokker moved with his family to the Netherlands at age four and enjoyed a Dutch upbringing. Traditional school settings were not where Anthony thrived. In fact, he did not even complete his high school education. Anthony exhibited exceptional mechanical abilities from a young age and preferred working with model trains, steam engines, and model airplanes. 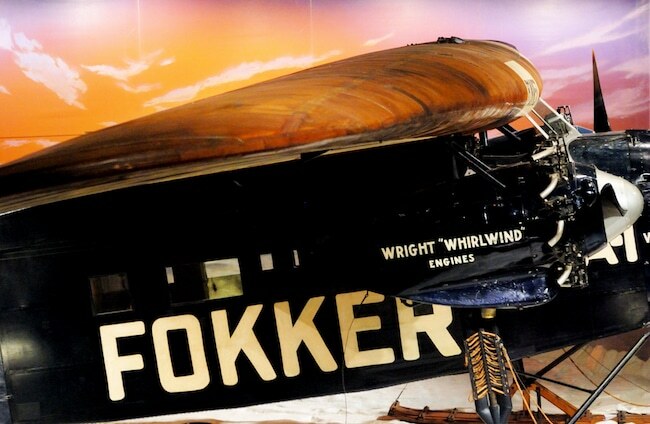 Seeking to build on this mechanical aptitude, Fokker was originally sent to school to study automotive mechanics. But he decided that airplanes were where his passion lay after witnessing his first flight and Anthony had the courage to follow his dreams. In 1910, at only 20 years of age, the ambitious Anthony Fokker built his first aircraft: The Spin I. Fokker. He utilized this initial aircraft to teach himself to fly. This was the beginning of an exciting era in aviation and Anton, as he was fondly referred to, was determined to be an integral part of it. 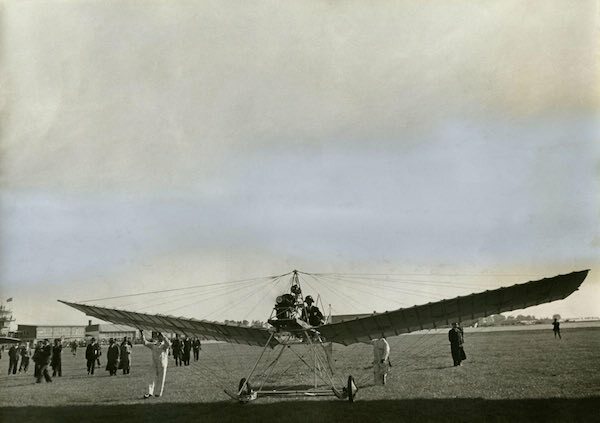 Fokker’s first plane “de Spin” or “the Spider,” was only able to fly about 100 yards. Sadly, before he had a chance to build on this start and amend his plane’s issues, his business partner and friend accidently crashed it into a tree. This led to the creation of the Spin II in the following year. It was during this time that Fokker also officially obtained his pilot’s license. However, new adjustments and calibrations on the Spin II only yielded similar success. Instead of giving up, Anthony Fokker kept his nose to the grindstone. As the saying goes, “the third time is a charm,” and this was definitely the case. The Spin III proved to be so successful that in 1913, it caught the attention of the German government. Only two years after building his first prototype, Anthony Fokker founded his own aircraft manufacturing business, Fokker Aeroplanbau near Berlin . The company gave Anthony a base to concentrate on developing his innovations while creating numerous different models. Eventually, his aircraft manufacturing factory moved to a different facility in Schwerin. During this time, Anthony changed the name to Fokker Flugzeugwerke GmbH, which was eventually shortened to become Fokker Werke GmbH. Once World War I broke out in the summer of 1914, Anthony Fokker saw the opportunity for advancement. He decided to offer his services to both the Germans and the Allies. Immediately, the Germans saw the benefit of increasing their air assault power and felt these airplanes would be a huge asset. The orders began rolling in and Fokker began expanding his business to keep up with the demand. However, shortly after the outbreak of the war, the Germans decided to take over direct control of the factory. Fokker was allowed to maintain his position as director and chief designer. Approximately 700 military planes were delivered to the German Air Force, most famously the Fokker Dr. I and the Fokker Eindecker. Fokker’s aircraft additionally supplied Austria-Hungary and the German Navy. 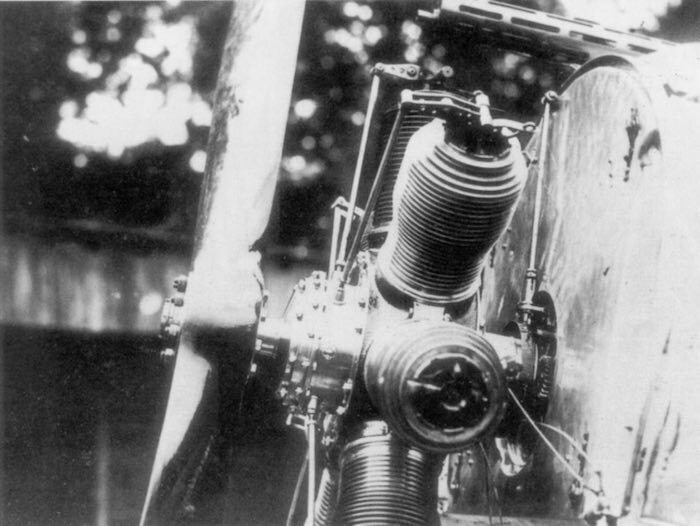 One of the most important designs Fokker’s company developed was an apparatus known as the “interrupter gear,” or “Synchronization Device.” This important modification made it possible for a front mounted, pilot fired machine gun to actually fire through the propeller blades on the aircraft. This innovation was not without heavy cost. In the initial stages, it caused numerous crashes as the propellers were at times accidently shot off. The engine became unbalanced due to the propeller loss and would even pull out of its mountings. Catastrophic disasters and crashes were all too common during the initial adopting of this mechanism. However, once it had been refined, this invention gave the German flying aces an early huge advantage in comparison to their Allied counterparts. There is much speculation surrounding who actually invented the interrupter gear, as a variety of prototypes were discovered prior to Fokker’s design. Anthony is commonly given the credit even though on April 18, 1915, a similar device was discovered when Roland Garros, the famous French pilot, was shot down. Prior to being taken prisoner, Garros successfully set fire to the airframe. However, the aircraft’s armored propeller and gun survived and were commandeered by the Germans. Legend has it that Fokker used the pieces salvaged from the aircraft to develop his interrupter gear. However, evidence showed that Fokker’s company had been developing their own interrupter gear design for up to 6 months prior to Garro’s machine being captured. Additionally, patents for similar designs had been filed as early as 1910 by a variety of engineers from Austria-Hungary, Germany, and France. Fokker was actually taken to court in Germany by one patentee and his employer. They won their case against him, but by that time, he had already relocated to the USA and refused to pay his dues. After overcoming design issues and perfecting their interrupter gear, Fokker and his team patented their new creation, the Gestängesteuerun, or the pushrod control mechanism. This apparatus perfected the act of allowing a pilot to send bursts of machine gun fire through the propeller’s arc without hitting any of the blades. It was specifically designed to be equipped on the new Fokker Eindecker monoplane aircraft. Fokker knew that the best input he could receive for improving his designs was hearing from the military pilots and flying aces themselves. So he approached the most famous German ace, the “Red Baron.” The Baron, Manfred von Richthofen, agreed to a test flight. The result, built in 1917 and deployed in 1918, was the D-VII, and it became one of his first successful designs within the German biplane and triplane arsenal. With a top speed of 117 mph or 189 kmh and a rate-of-climb at 772 feet per minute or 235 m/min, the D-VII earned the reputation of being one of the best German fighters in WWI. It was so good, in fact, that approximately 3300 were produced. Famously known as “Red Baron’s Plane,” this aircraft was one of the most recognized aviation images of WWI. 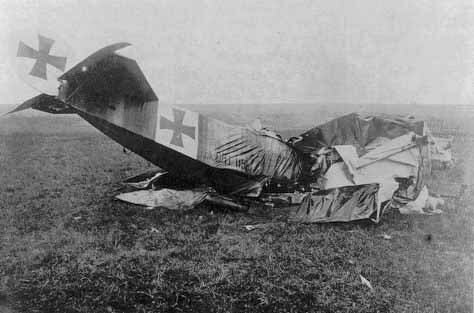 In spite of this, only 320 of Fokker’s Dr. I Dreidecker Triplanes were actually produced. This model was introduced in 1917 and was Germany’s response to the British made Sopwith Triplane. It was designed with single interplane struts that supported cantilever wings, and the upper wing contained the only ailerons on the craft. The Dr.I weighed approximately 1289 lbs and featured a Thulin manufactured Le Rhone 9J9 cylinder air-cooled rotary engine capable of 110 HP. This plane had a top speed of 103 mph with a ceiling of roughly 20,000 feet. 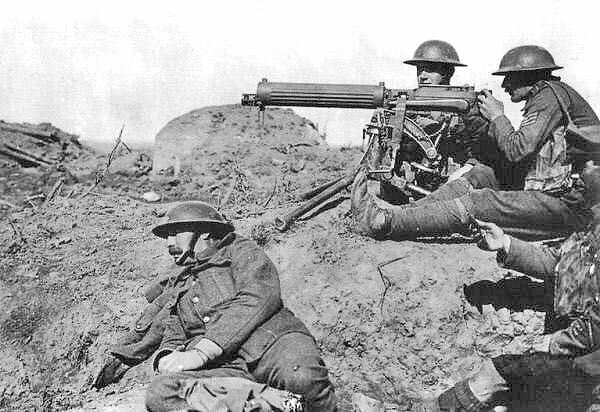 Common firepower at the time consisted of outfitting these models with 8mm twin synchronized Spandau machine guns. After the war was finished, Anthony concentrated his efforts on developing passenger airlines. The Fokker Trimotor, or the Fokker F.VII, made its debut as an airliner in the 1920’s. The Trimotor became even more famous when, in 1928, it carried pilot Wilmer Stultz and Amelia Earhart across the Atlantic, from Newfoundland to Burry Port. Earhart became the first woman to make this trip. Anthony Fokker, now fondly known as “the Flying Dutchman,” grew his company exponentially in the years after the war, and dominated the civil aviation market in the 1920s and 30s. Eventually, much later in 1996, the company would file for bankruptcy and be divided up and sold off, a sad fate for one of the most important early aviation manufacturers. Fokker died in New York on December 23, 1939 from pneumococcal meningitis at 49 years of age. His innovative ideas influenced aviation in a myriad of ways, and his tireless energy allowed him to accomplish much during his short lifetime.